“In words and pickles, I have immortalised my memories, although distortions are inevitable in both methods,” writes Saleem Sinai, the protagonist of Salman Rushdie’s Booker-winning Midnight’s Children. For Sinai, pickles are a metaphor for both the country he is from – India – and its muddled history. But if you look at the meticulously compiled, tried and tested vegetarian recipes in Usha’s Pickle Digest, written and self-published by retired lawyer Usha R Prabakaran, you’ll know that there’s little room for distortion. “Long waits for vegetables and fruits not in season were quite the norm. The pickle samples, after repeated trials, were given to relatives and friends for their constructive criticism. The pickle needed to be set aside for determining its shelf life, unrefrigerated without the use of chemicals and additives,” says Prabakaran, who lives in Chennai and spent a decade putting the book together. 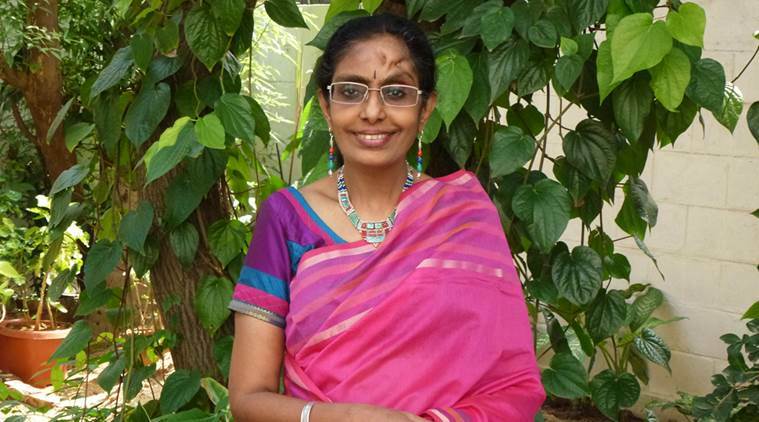 With the help of an able secretary, Prabakaran narrowed down 5,000 recipes to 1,000 for her book, which was published in 1998 and remains a Bible of sorts for pickle lovers. Usha’s Pickle Digest encourages you to make a pickle of almost any vegetable, or fruit even. There’s everything from watermelon rind to raw plantain skin to wood apple to popular pickle recipes such as mango and lime, of course. 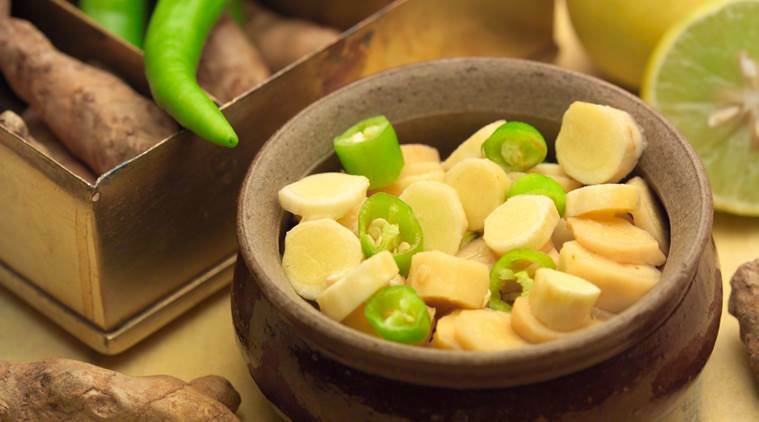 And there are pickles that are native to specific states: from the bamboo-shoot pickle made in Arunachal Pradesh to the famous Gonkura pickle from Andhra Pradesh. The book also dismisses the myth that making pickles is a tedious task, and includes a chapter titled Quick Serve, which deals with instant no-nonsense recipes for vegetables such as cabbage, carrot and ridge gourd that are otherwise often ignored even by diehard vegetarians. In fact, the first pickle that Prabakaran made – mango ginger, which is actually a type of turmeric – is in the assorted section, which also includes several quick recipes.“Mango ginger – totally uncomplicated, tasty, fresh, healthy and so quick to make. Slice up the mango ginger, add in the green chillies cut into rounds, throw in a few strands of fresh green peppercorns, pour in adequate lemon juice, add salt and your pickle is ready,” writes Prabakaran. Pickles have almost always been the easiest way to make our meals better-tasting. Stuck in a hostel with only semi-mouldy bread for breakfast? 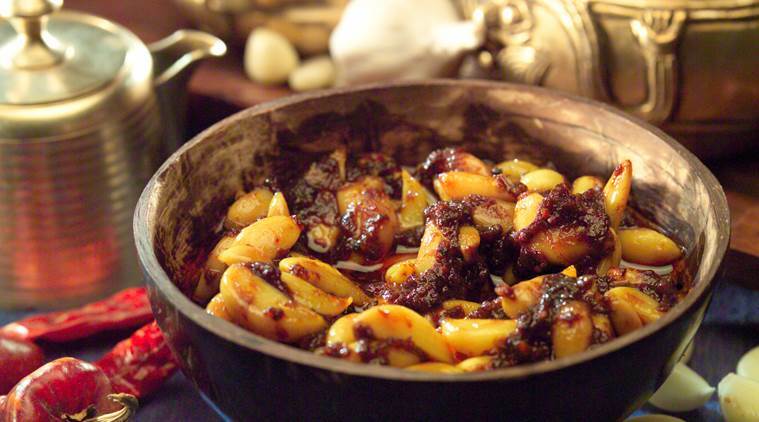 Make a dish of avakaya mango pickle and bread. Feeling under the weather with little or no appetite? There’s always khichdi with a dash of lime pickle to awaken the taste buds. Craving a snack? Smear green chilli pickle on a chapati to make a tangy roll. 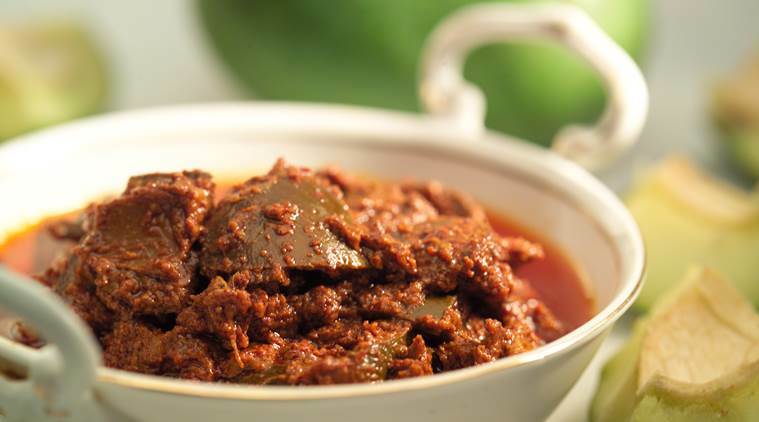 Prabakaran recalls that her mother used to eat freshly cut mango pickle almost like a “poriyal” (side dish), or as an accompaniment to sambar, rasam or curd rice. There is a telling reference of how well-loved Indian pickles are in Muzaffar Alam and Seema Alavi’s A European Experience of The Mughal Orient: The ‘Ijaz-I-Arsalani’ (Persian Letters, 1773-1778) of Antoine-Louis Henri Polier. Polier, a French-Swiss loyalist of the East India Company, served at the court of Mughal emperor Shah Alam II. Polier, who had worked for the British in South India, Bengal and Bihar, took to Indian pickles and women (he had two Indian wives). 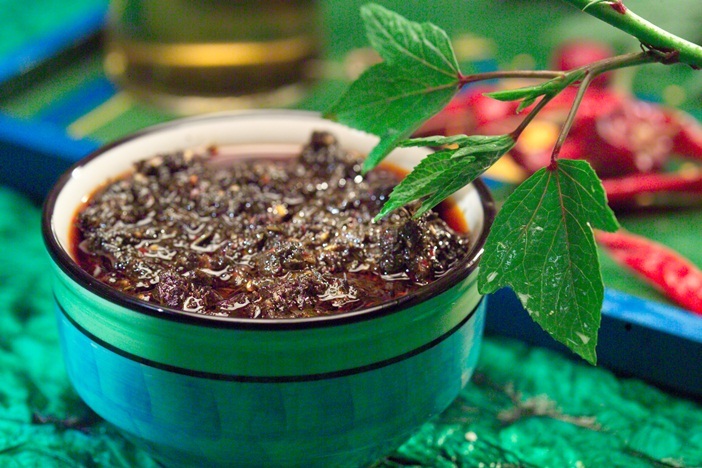 The book, a translation of letters that he wrote in Persian to English, speaks of his fondness for green mango pickle in oil. But does it include a recipe? Not a chance. As recently as the mid-Eighties, when Prabakaran began work on her book, pickling tips were generally kept secret by culinary experts. This was when “home chef” wasn’t a skill listed on a blog, or even as an author’s profile in a book. This was when blogs didn’t exist. Prabakaran’s generosity shines through in every section of her book. The author has shared every valuable piece of advice she has learnt along the way – be it in how to temper spices (don’t mix asafoetida and garlic since they neutralise each others’ flavours), or how to pick vegetables. Prabakaran promises to publish a second edition of her book soon, but meanwhile, here’s the recipe for her mother’s favourite pickle. *Combine the sliced mango ginger with the remaining ingredients. *Heat the oil, add mustard seeds and allow to crackle. *The pickle is ready for use after two days. It keeps for 10 days and longer in the refrigerator.